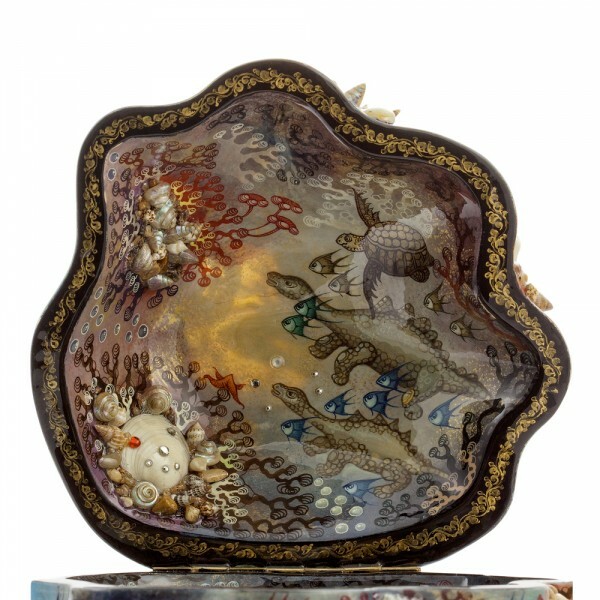 All the wonders of the water world appear on this decorative box: a mermaid putting on a necklace, hundreds of small fish, sea stars and an octopus. 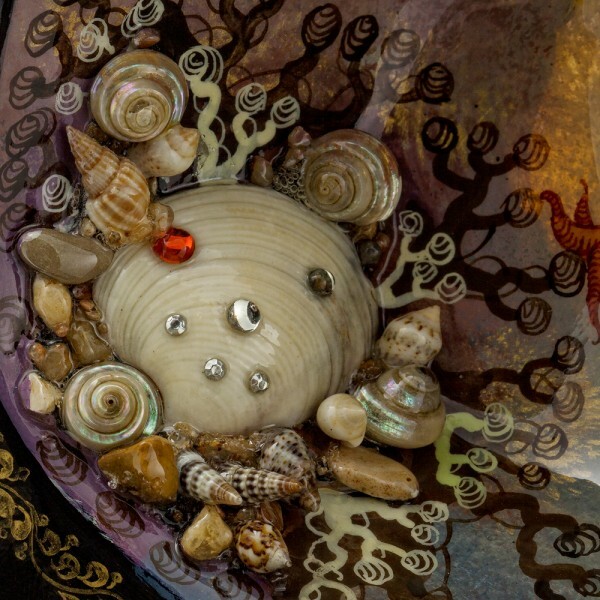 Sunk ships and undiscovered treasures lay on the sea bottom. 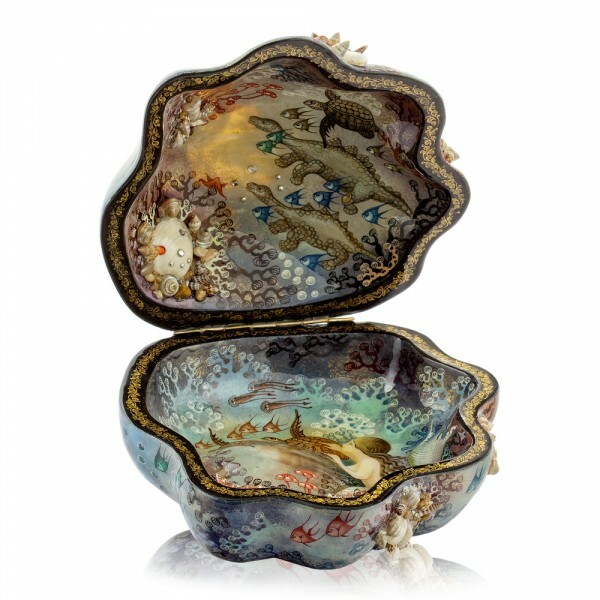 Open the box and you will see all kinds of fantastic sea creatures including turtles, corals and mermaids. 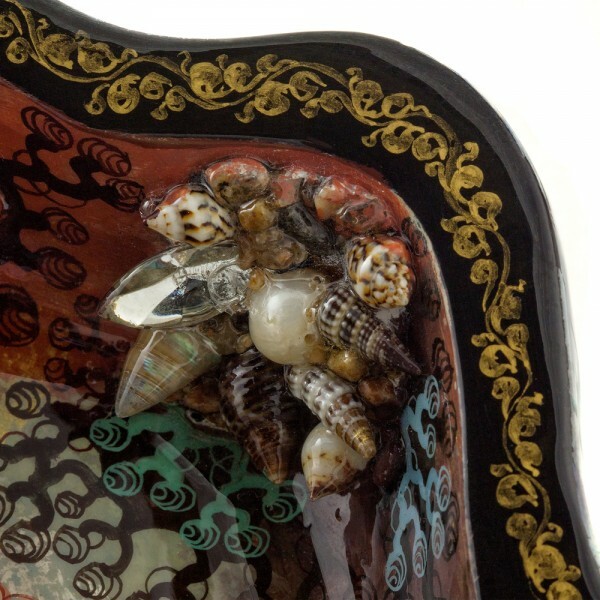 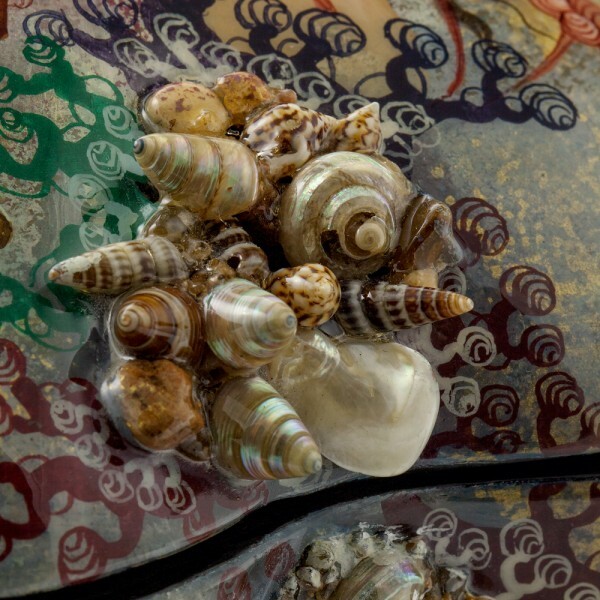 The form of the box is like a shell in where rather large pearls are usually found. 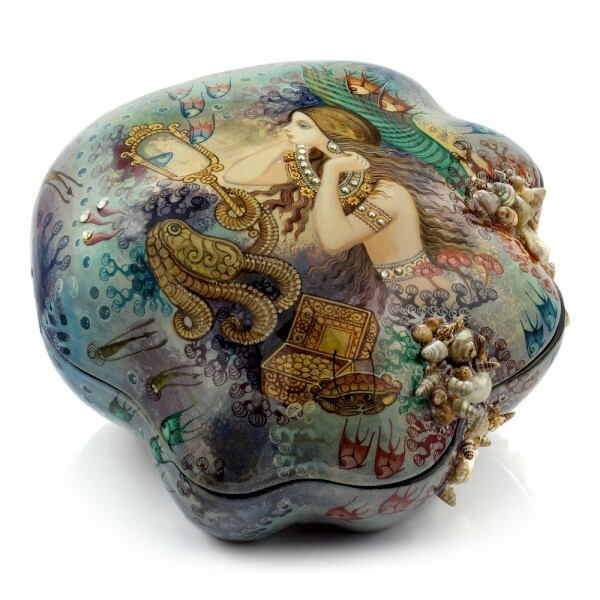 Should the box be made out of the mother of pearl, it would be too heavy and fragile. 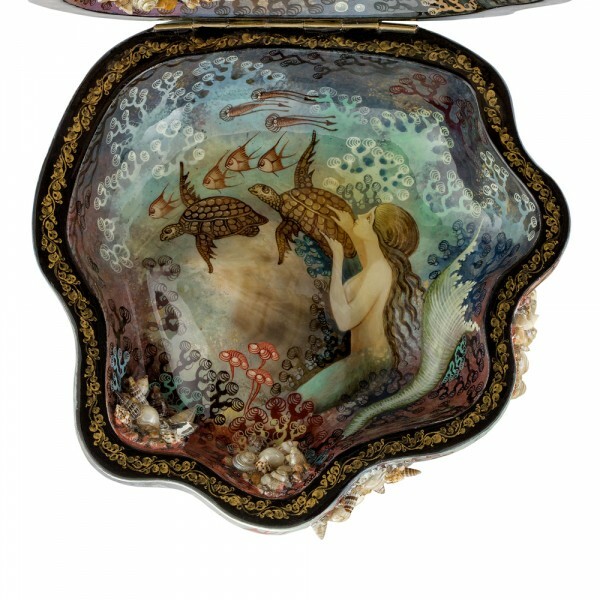 This one is made of papier-mache; therefore, it will serve long and the colors will not fade. 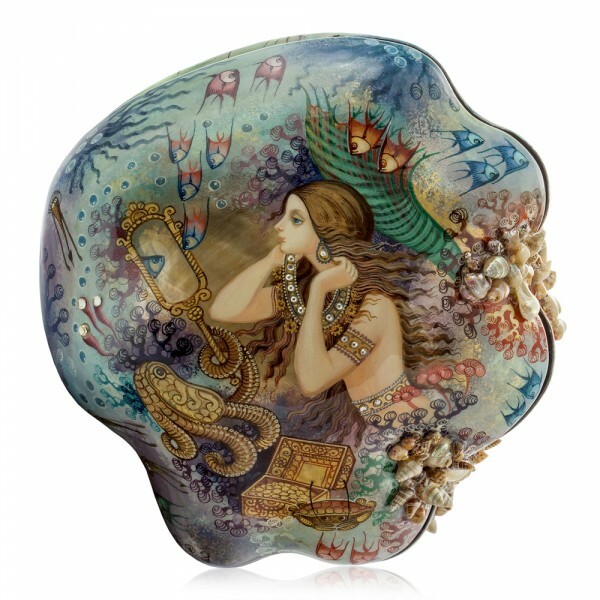 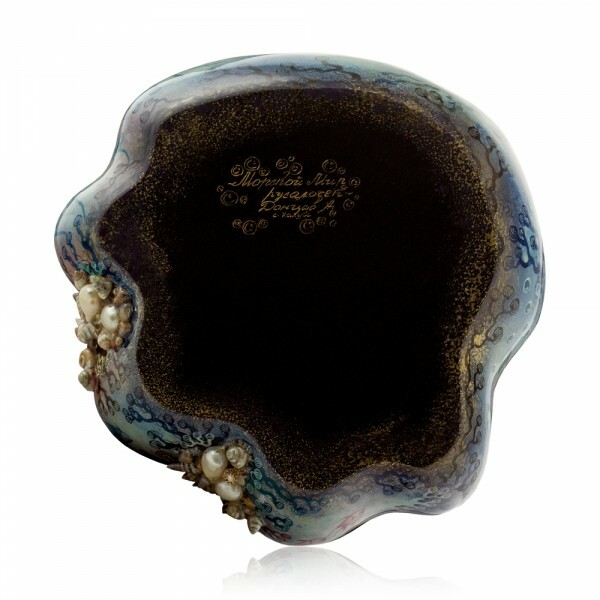 This decorative box will become a terrific gift that will remind of hidden treasures of this world.